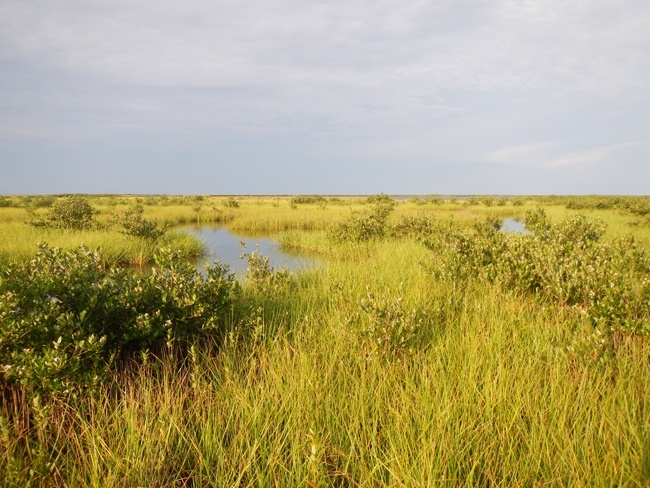 A two-year assessment of the potential to develop blue carbon projects on Louisiana's coast estimates that carbon finance revenue can provide up to $1.6 billion in critical funding to assist with wetland restoration over the next 50 years. The study, supported by Entergy Corp. through its Environmental Initiatives Fund, and prepared in partnership by New Orleans-based Tierra Resources and Portland-based nonprofit The Climate Trust, examines existing wetland restoration techniques — river diversions, hydrologic restoration, wetland assimilation and mangrove plantings — identifying areas for future scientific investigation to support carbon offset programs. Findings from the report were shared by Tierra Resources and the American Carbon Registry at a free national webinar on March 5. Initial study findings showed that restoration in Louisiana has the potential to produce over 1.8 million offsets per year and almost 92 million offsets over 50 years. This is the equivalent of taking approximately 350,000 cars off the road each year or 20 million cars off the road over 50 years. Wetland restoration techniques identified in this study could potentially generate $400 million to $1 billion in offset revenue depending on the dollar value of the carbon offset — with the potential for almost $630 million more by including prevented wetland loss in the carbon accounting. Of the restoration techniques studied, forested wetlands that receive treated municipal effluent -- referred to as wetland assimilation systems -- have the highest net offset yield per acre. However, it was concluded that river diversions and mangrove plantings have the potential to generate the largest volume of offsets in Louisiana due to the huge amount of acreage upon which these restoration techniques can be implemented. Additionally, carbon offsets from wetland assimilation systems and river diversions show potential to be stacked with water quality credits should these markets evolve in Louisiana. The American Carbon Registry, a leading voluntary and California compliance Cap-and-Trade Offset Project Registry, in 2012 approved a methodology developed by Tierra Resources, which quantifies the greenhouse gas emission reductions and carbon sequestration associated with restoring degraded deltaic wetlands in the Mississippi Delta. This methodology allows landowners and project developers to document, quantify and seek verification for the greenhouse gas-reducing benefit of their wetland restoration projects, ultimately leading to certified offset credits that can be sold as carbon credits in the voluntary market. The restoration of the Mississippi River Delta and the storage of blue carbon (the carbon captured by coastal ecosystems) is of national significance. The economic health of much of the United States depends on sustaining the navigation, flood control, energy production and seafood resources of this valuable deltaic river system. Each of those functions is currently at severe risk due to a coastal wetland loss rate of approximately one football field an hour. Kasey Krifka is the Marketing and Communications Manager for The Climate Trust.